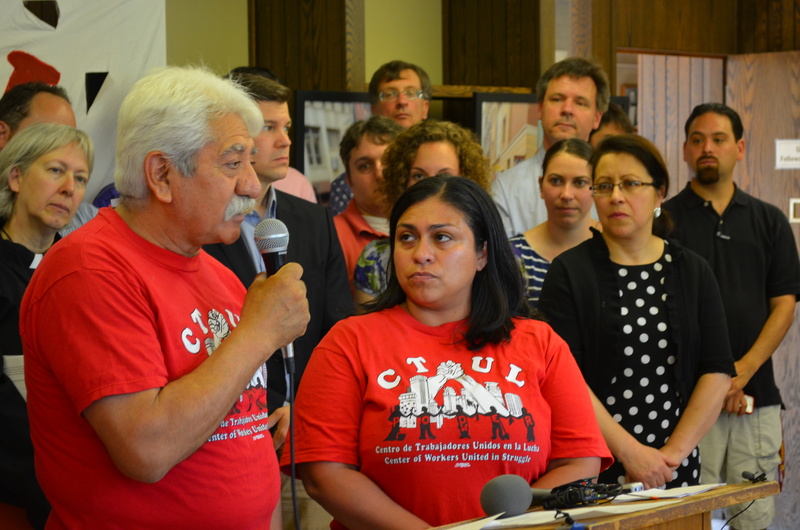 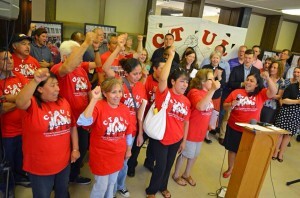 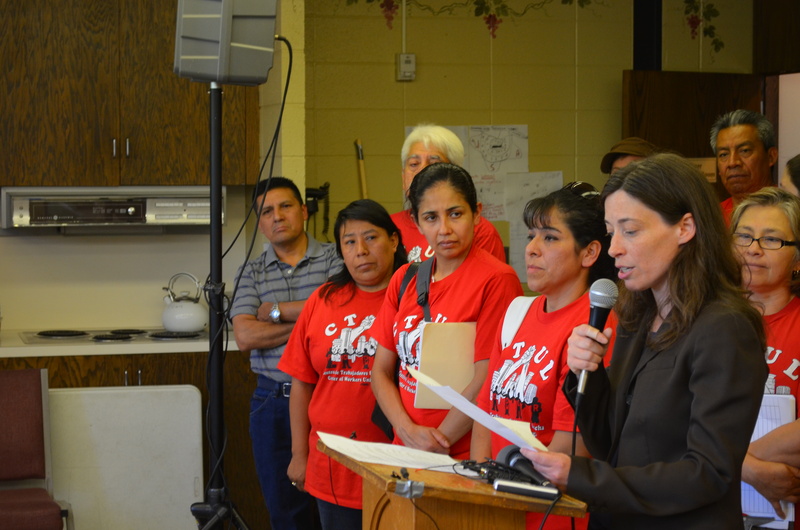 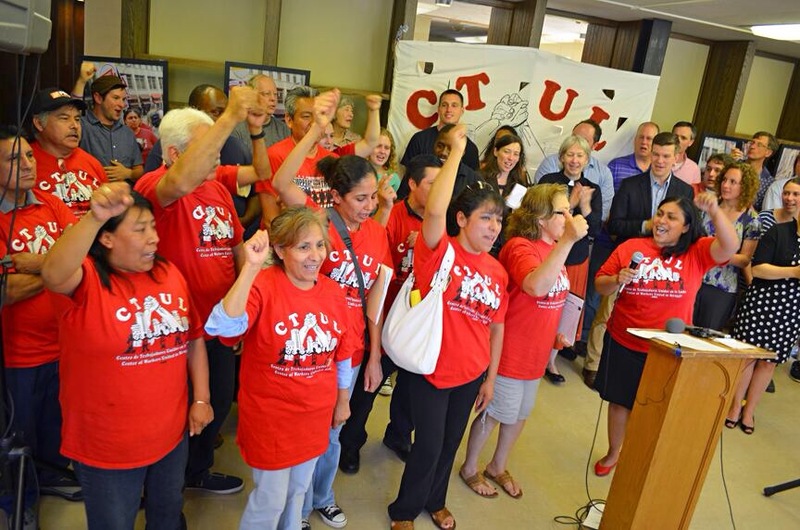 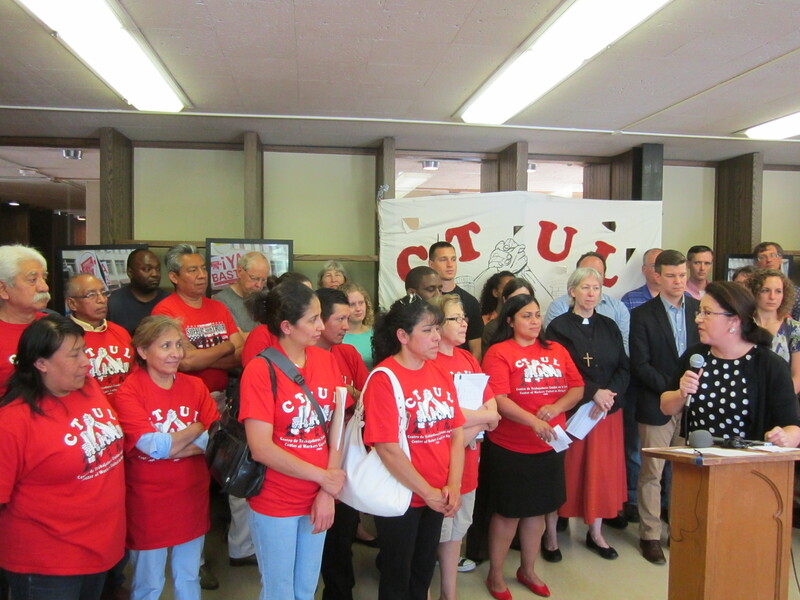 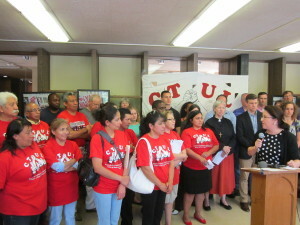 Over 50 workers and community allies packed the house for the June 10th victory press conference where CTUL announced the huge victory with sub-contracted janitors who clean retail stores in the Twin Cities metro area. Click here for a description of the victory, including a video documenting the history of the campaign. 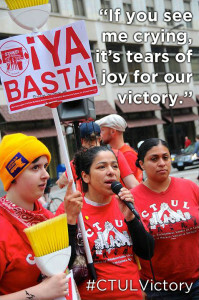 The highlight of the day came when Maricela Flores, employee of Carlson Building Maintenance who cleans a Target store, expressed how she felt after all of the years of struggle to win this victory. 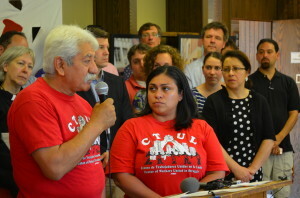 The press conference opened with a statement from Enrique Barcenas, employee of Prestige Maintenance USA who cleans Target stores in Apple Valley, MN. 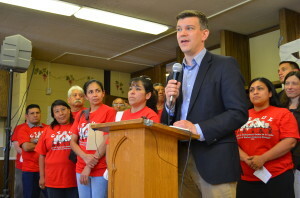 Doran Schrantz, Executive Director of ISAIAH, discussed the victory from a health perspective, looking a a recent report that was released by the Minnesota Department of Health regarding the connections between poverty and health. The interim pastor of Bethany Lutheran Church, Susan Masters, brought important insight into the day. 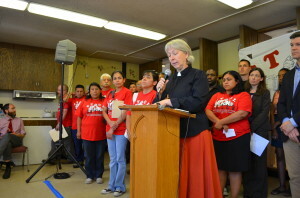 Her partner, Bob Hulteen, was the first person on staff of the organization that started CTUL – Workers Interfaith Network. And now Susan is the interim pastor of the church where CTUL is based. 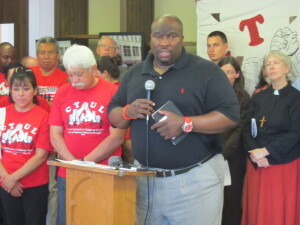 Several elected officials then read statements of support with CTUL and the workers. 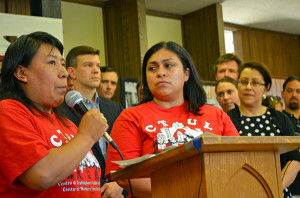 Finally Lucila Dominguez, CTUL staff and member who has worked as a retail janitor in the Twin Cities for nearly a decade, closed the press conference with a call on other retail stores to follow Target’s lead by adopting the same Responsible Contractor Policy. 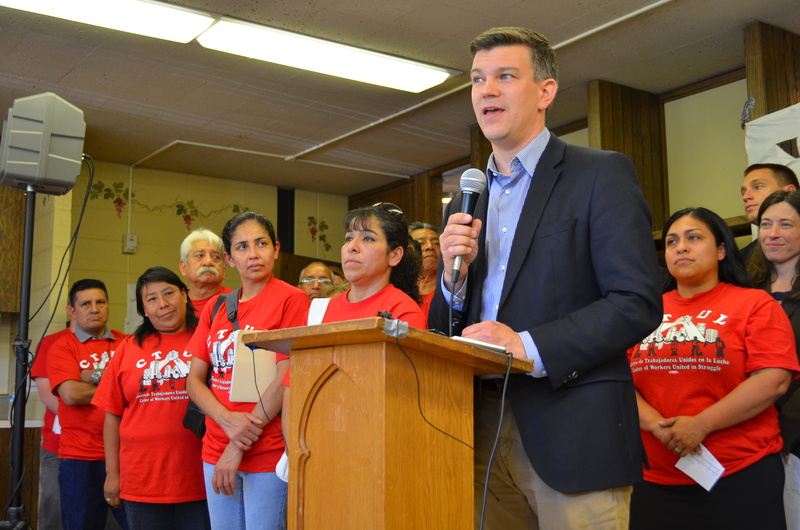 Kare 11 News and MN 2020 both made powerful videos of the press conference that are definitely worth the watch to fully understand the significance of this historic day.